Exude a sense of class and elegance with a stylish and well-designed Turkish Glaze 51X44X43CM Chandelier in an authentic royal shade of gold. Give your home an enormous royal and rich look with this exquisite chandelier. The spectacular and awe-inspiring design of it will surely leave all visitors astounded and amazed. Made up of premium quality glass and metal, this alluring piece of art will surely uplift the ethnic aura of your living space. 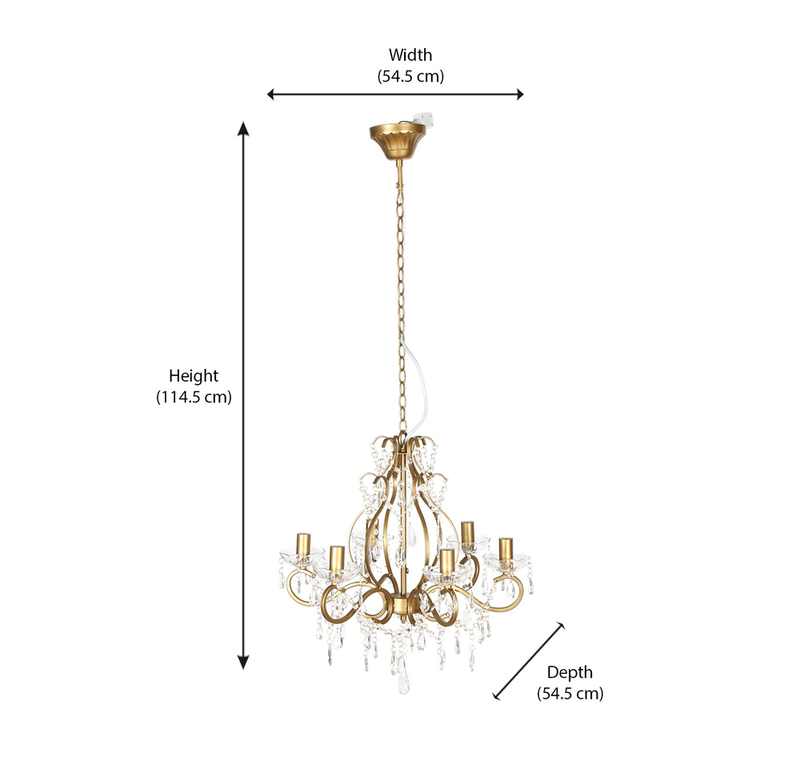 This beautifully crafted chandelier will allow you to experience the beauty of a well-lit room. Light up the ambience of your ravishing homes with this magnificent and glamorous Chandelier by @home.